Our Syracuse slip-and-fall and trip-and-fall lawyers review hundreds of this type of case every year. Here’s what you need to know. If you slipped and fell or you tripped and fell in a store or some other building, do you have a good case? 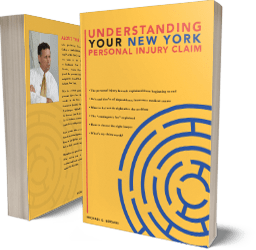 If you slip or fall or trip or fall in a store or some other building, New York lawyers refer to that as a “premises liability” case. To win that case, you have got to prove generally that the defect or the water or object or whatever it is you tripped or slipped on was something that the owner of the building either knew about with sufficient time before you fell or should have known about it. The legal thinking is this: If the landowner knew or should have known of the danger, he should have removed it! Let's take an example, let's say you slip on a puddle in a supermarket. You don't know exactly it was or where it came from. Maybe it was some kind of a green substance let's say, and – whoosh -- down you go. You get badly injured and you try to bring a claim. The first think your New York slip-and-fall or trip-and-fall attorney, whether he be in Syracuse or elsewhere, is going to want to know is: What the heck was that substance you slipped on? And how did it get there? After all, maybe a customer spilled a green Gatorade on the floor two minutes before you came along. Under that fact pattern, the store is not liable because, what could they have done? They didn't know about it. They really had no reason to know about it. Store owners know that customers do tend to spill things from time to time. So they have got a duty to you and to the public to go through their store once on a regular basis to check for that. Do they have to do it every two minutes? No, that is not reasonable. On the other hand, if you can prove that the Gatorade spill had been there for more than a half an hour or so (maybe a surveillance camera shows this to be so? ), then you can prove that the store owner and its employees weren’t doing their job of giving reasonable inspections every half an hour or so to try and catch spills. So if we don't know how long the spill has been there, slip-and-falls on spills are tough cases. We have the burden of proving it was there for a sufficient period of time. If no one knows, and we can’t find out, then we can’t win your case. If we can prove it was there for a while, or if we can prove a store employee actually knew about it (for example, he saw the customer spill it), or if we can prove the store employee rather than a customer spilled the Gatorade, then it’s an easy case. You see if the store or its employee created the hazard, they are liable no matter how short the time period that elapsed was. They are also liable if they actually knew about the spill right away, but did not clean it up. Slip-and-fall and trip-and-fall attorneys, whether in Syracuse or any other part of New York State, have to prove these same elements of your case, whether the accident involves a liquid you slipped on or an object you tripped on. The same logic applies to trip and fall cases: Did the owner or employee know about the tripping hazard? Should they have known about it? How long was it there? Who put it there? Those are the kind of questions your New York slip-and-fall or trip-and-fall lawyer is going to want to ask. If you think you might have a trip-and-fall or slip-and-fall or some kind of other premises liability case, don't hesitate to pick up the phone and call our Syracuse trip-and-fall and slip-and-fall attorneys for a free consultation.